The Fallen Giants vineyard was planted in 1969 by a long-term grower for Seppelts & Penfolds (the fruit from here made it into the 1986 Grange). It was purchased by Trevor Mast of Mount Langi Ghiran in the early 1990s and was then bought by Aaron Drummond and his family in 2014. Aaron is 50% owner of Circe – a winery that Berry Bros. & Rudd works with very closely, (he is also MD of NZ’s Craggy Range as his “day” job). Circe winemaker, Dan Buckle, provided blending advice for the 2013 to 2015 Fallen Giants wines, which were made at Mount Langi Ghiran. Since 2016, the wines have been made by Justin Purser at Best’s Great Western - Halls Gap Estate’s closest neighbour. The Grampians region was planted in Planted in 1861 and many original vineyards still remain. It is a truly cool climate region with Mean January Temperatures (MJTs) ranging from 18.1?C, to 20.6?C. 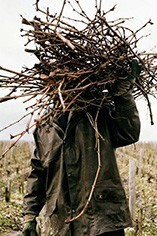 There are only eight producers in the region, of which three are Langtons classified (Best’s, Mount Langi Ghiran and Seppelts). Six of these eight have the prestigious 5 star rating from Australian wine critic James Halliday - a testament to the quality the region can produce. James Halliday rated Halls Gap Estate as a 5-star winery in his annual Wine Companion for 2016, 2017 and 2018. 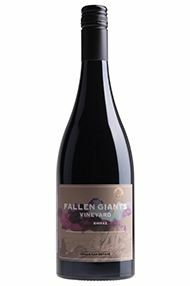 He also gave both the 2014 and 2015 Fallen Giants’ Shiraz 95 points.